2012 the end of the WORLD!! KARNIMATA-The 8th wonder of the world??? Increase your Internet Speed substantially! 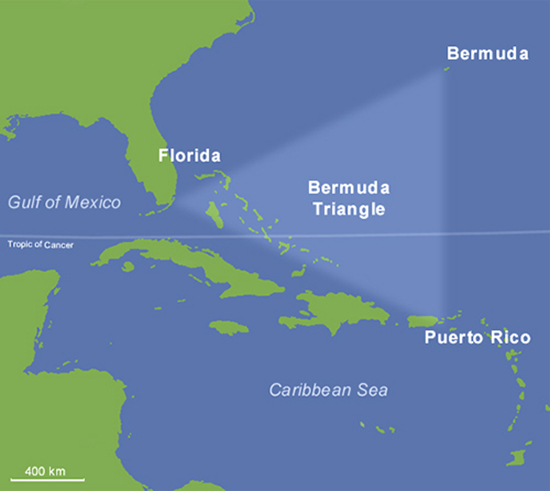 The Bermuda Triangle, also known as the Devil’s Triangle, is a region of the northwestern Atlantic Ocean in which a number of aircraft and surface vessels have disappeared. Some people have claimed that these disappearances fall beyond the boundaries of human error or acts of nature. Some of these disappearances have been attributed to the paranormal, a suspension of the laws of physics, or activity by extraterrestrial beings by popular culture. Though a substantial documentation exists showing numerous incidents to have been inaccurately reported or embellished by later authors, and numerous official agencies have gone on record as stating the number and nature of disappearances to be similar to any other area of ocean, many have remained unexplained despite considerable investigation. 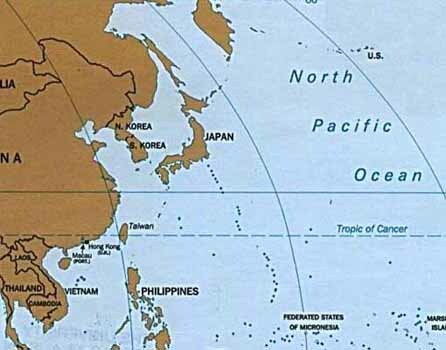 The boundaries of the Triangle vary with the author; some stating its shape is akin to a trapezoid covering the Straits of Florida, the Bahamas, and the entire Caribbean island area east to the Azores; others add to it the Gulf of Mexico. The more familiar, triangular boundary in most written works has as its points somewhere on the Atlantic coast of Florida; San Juan, Puerto Rico; and the mid-Atlantic island of Bermuda, with most of the accidents concentrated along the southern boundary around the Bahamas and the Florida Straits. The Gulf Stream ocean current flows through the Triangle after leaving the Gulf of Mexico; its current of five to six knots may have played a part in a number of disappearances. Sudden storms can and do appear, and in the summer to late fall hurricanes strike the area. The combination of heavy maritime traffic and tempestuous weather makes it inevitable that vessels could founder in storms and be lost without a trace ­ especially before improved telecommunications, radar, and satellite technology arrived late in the 20th century. Modern scholars checking the original log books have surmised that the lights he saw were the cooking fires of Taino natives in their canoes or on the beach; the compass problems were the result of a false reading based on the movement of a star. The first article of any kind in which the legend of the Triangle began appeared in newspapers by E.V.W. Jones on September 16, 1950, through the Associated Press. Two years later, Fate magazine published “Sea Mystery At Our Back Door”, a short article by George X. Sand in the October 1952 issue covering the loss of several planes and ships, including the loss of Flight 19, a group of five U.S. Navy TBM Avenger bombers on a training mission. Sand’s article was the first to lay out the now-familiar triangular area where the losses took place. Flight 19 alone would be covered in the April 1962 issue of American Legion Magazine. The article was titled “The Lost Patrol”, by Allen W. Eckert, and in his story it was claimed that the flight leader had been heard saying “We are entering white water, nothing seems right. We don’t know where we are, the water is green, no white.” It was also claimed that officials at the Navy board of inquiry stated that the planes “flew off to Mars.” “The Lost Patrol” was the first to connect the supernatural to Flight 19, but it would take another author, Vincent Gaddis, writing in the February 1964 Argosy Magazine to take Flight 19 together with other mysterious disappearances and place it under the umbrella of a new catchy name: “The Deadly Bermuda Triangle”; he would build on that article with a more detailed book, Invisible Horizons, the next year. Others would follow with their own works: John Wallace Spencer (Limbo of the Lost,1969); Charles Berlitz (The Bermuda Triangle, 1974); Richard Winer (The Devil’s Triangle, 1974), and many others, all keeping to some of the same supernatural elements outlined by Eckert. Lawrence David Kusche, a research librarian from Arizona State University and author of The Bermuda Triangle Mystery: Solved (1975) has challenged this trend. Kusche’s research revealed a number of inaccuracies and inconsistencies between Berlitz’s accounts and statements from eyewitnesses, participants, and others involved in the initial incidents. He noted cases where pertinent information went unreported, such as the disappearance of round-the-world yachtsman Donald Crowhurst, which Berlitz had presented as a mystery, despite clear evidence to the contrary. Another example was the ore-carrier Berlitz recounted as lost without trace three days out of an Atlantic port when it had been lost three days out of a port with the same name in the Pacific Ocean. Kusche also argued that a large percentage of the incidents which have sparked the Triangle’s mysterious influence actually occurred well outside it. Often his research was surprisingly simple: he would go over period newspapers and see items like weather reports that were never mentioned in the stories. The number of ships and aircraft reported missing in the area was not significantly greater, proportionally speaking, than in any other part of the ocean. In an area frequented by tropical storms, the number of disappearances that did occur were, for the most part, neither disproportionate, unlikely, nor mysterious; furthermore, Berlitz and other writers would often fail to mention such storms. The numbers themselves had been exaggerated by sloppy research. A boat listed as missing would be reported, but its eventual (if belated) return to port may not be reported. Some disappearances had in fact, never happened. One plane crash was said to have taken place in 1937 off Daytona Beach, Florida, in front of hundreds of witnesses; a check of the local papers revealed nothing. 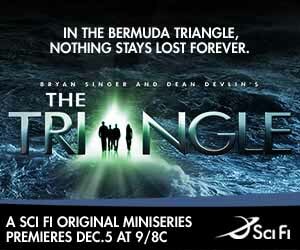 The Legend of the Bermuda Triangle is a manufactured mystery … perpetuated by writers who either purposely or unknowingly made use of misconceptions, faulty reasoning, and sensationalism. An explanation for some of the disappearances focuses on the presence of vast fields of methane hydrates on the continental shelves. A paper was published by the United States Geological Survey about the appearance of hydrates in the Blake Ridge area, offshore southeastern United States, in 1981. Periodic methane eruptions are capable of producing ship-sized bubbles, or regions of water with so much dissolved gas, that the fluid density is no longer capable of providing adequate buoyancy for ships to float. If this were the case, such an area forming around a ship could cause it to sink almost directly and without warning. Experiments have proven that a methane bubble can indeed sink a ship by decreasing the density of the water. Methane gas can also crash planes. The less dense air causes planes to lose lift. Also, the altimeter of planes (the instrument that measures the altitude) functions on the density of air. Because methane is less dense, the altimeter assumes the plane is climbing. Planes at night or in the clouds, where they can’t see the ground, assume that they are climbing and dive, causing them to crash. Also, methane in the engine throws off the mix of fuel and air. Aircraft engines burn hydrocarbons (gasoline or jet fuel) with oxygen provided by the air. When the ambient oxygen levels drop, combustion can stop, and the engine stalls. All of these effects of methane gas have been shown experimentally. Laboratory experiments carried out in Australia have proven that bubbles can, indeed, sink a scale model ship by decreasing the density of the water; any wreckage consequently rising to the surface would be rapidly dispersed by the Gulf Stream. 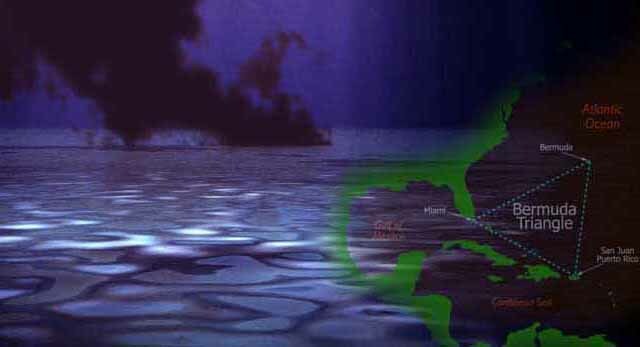 It has been hypothesized that periodic methane eruptions (sometimes called “mud volcanoes”) may produce regions of frothy water that are no longer capable of providing adequate buoyancy for ships. If this were the case, such an area forming around a ship could cause it to sink very rapidly and without warning. A white paper was published in 1981 by the United States Geological Survey about the appearance of hydrates in the Blake Ridge area, off the southeastern United States coast. However, according to a USGS web page, no large releases of gas hydrates are believed to have occurred in the Bermuda Triangle for the past 15,000 years. Hurricanes are extremely powerful storms which are spawned in the Atlantic near the equator, and have historically been responsible for thousands of lives lost and billions of dollars in damage. The sinking of Francisco de Bobadilla’s Spanish fleet in 1502 was the first recorded instance of a destructive hurricane. In 1988, Hurricane Gilbert, one of the most powerful hurricanes in history, set back Jamaica’s economy by three years. These storms have in the past caused a number of incidents related to the Triangle. The Gulf Stream is an ocean current that originates in the Gulf of Mexico, and then through the Straits of Florida, into the North Atlantic. In essence, it is a river within an ocean, and like a river, it can and does carry floating objects. A small plane making a water landing or a boat having engine trouble will be carried away from its reported position by the current, as happened to the cabin cruiser Witchcraft on December 22, 1967, when it reported engine trouble near the Miami buoy marker one mile (1.6 km) from shore, but was not there when a Coast Guard cutter arrived. Extremely large waves can appear seemingly at random, even in calm seas. One such rogue wave caused the Ocean Ranger, then the world’s largest offshore platform, to capsize in 1982. There is, however, no particular reason to believe rogue waves are more common in the Bermuda region, and this explanation cannot account for the loss of airplanes. Research has shown that freak waves up to 30 m (100 feet) tall, capable of sinking the largest ships within moments, can and do happen. 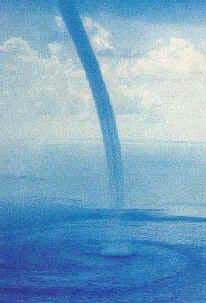 Although these are very rare, in some areas ocean currents mean they happen more often than the norm. Such waves have now been hypothesized as a cause for many unexplained shipping losses over the years. The book was a best seller, and many interested readers offered theories to explain the nature of the disappearances. The list includes natural storms, transportation by extraterrestrial technology, high-traffic volumes (and correspondingly high accident rates), a “temporal hole,” the lost Atlantis empire from the bottom of the ocean, and other natural and supernatural causes. Aerial photos taken in 2005 show the phenomenon of glowing water. Whatever causes this phosphorescence to vent up from the Bahama Bank bottoms, if that is its cause, remains a mystery. The Triangle’s location in the Caribbean makes it subject to unpredictable weather patterns. This takes us to Earth changes and the excalation of intense hurricanes in 2005 with more to come in the years ahead. These weather extremes prey on inexperienced navigators and smaller boats and planes. Water spouts, sudden electrical and thunder storms, and the like, can cause havoc in the area. The Gulf Stream can also be brutal in that region and perhaps has swept away evidence of natural disasters. 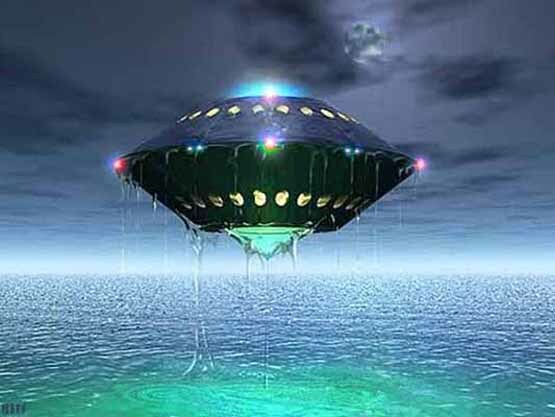 Many people have reported seeing portals opening in cloudy skies – strange swirling lights sometimes accompanied by sounds – temporal distortions – electromagnetic distortions called ‘electronic fog’ that can cause a time storm, and the disappearance of planes and ships. There is something about this fog that is important and gives one the sense of all things paranormal. Something unexplained is definitely happening in that region of the Atlantic. This goes back to ancient explorers such as Christopher Columbus and his crew who experienced the phenomenon. One of the most cited explanations in official inquiries as to the loss of any aircraft or vessel is human error. Whether deliberate or accidental, humans have been known to make mistakes resulting in catastrophe, and losses within the Bermuda Triangle are no exception. For example, the Coast Guard cited a lack of proper training for the cleaning of volatile benzene residue as a reason for the loss of the tanker V.A. Fogg in 1972. Human stubbornness may have caused businessman Harvey Conover to lose his sailing yacht, the Revonoc, as he sailed into the teeth of a storm south of Florida on January 1, 1958. It should be noted that many losses remain inconclusive due to the lack of wreckage which could be studied, a fact cited on many official reports. This can fall into two categories: acts of war, and acts of piracy. Records in enemy files have been checked for numerous losses; while many sinkings have been attributed to surface raiders or submarines during the World Wars and documented in the various command log books, many others which have been suspected as falling in that category have not been proven; it is suspected that the loss of USS Cyclops in 1918, as well as her sister ships Proteus and Nereus in World War II, were attributed to submarines, but no such link has been found in the German records. Piracy, as defined by the taking of a ship or small boat on the high seas, is an act which continues to this day. While piracy for cargo theft is more common in the western Pacific and Indian oceans, drug smugglers do steal pleasure boats for smuggling operations, and may have been involved in crew and yacht disappearances in the Caribbean. Historically famous pirates of the Caribbean (where piracy was common from about 1560 to the 1760s) include Edward Teach (Blackbeard) and Jean Lafitte. Lafitte is sometimes said to be a Triangle victim himself. Another form of pirate operated on dry land. Bankers or wreckers would shine a light on shore to misdirect ships, which would then founder on the shore; the wreckers would then help themselves to the cargo. It is possible that these wreckers also killed any crew who protested. Nags Head, North Carolina, was named for the wreckers’ practice of hanging a lantern on the head of a hobbled horse as it walked along the beach. Triangle writers have used a number of supernatural theories to explain the events. One explanation pins the blame on leftover technology from the lost continent of Atlantis. Sometimes connected to the Atlantis story is the submerged rock formation known as the Bimini Road off the island of Bimini in the Bahamas, which is in the Triangle by some definitions. 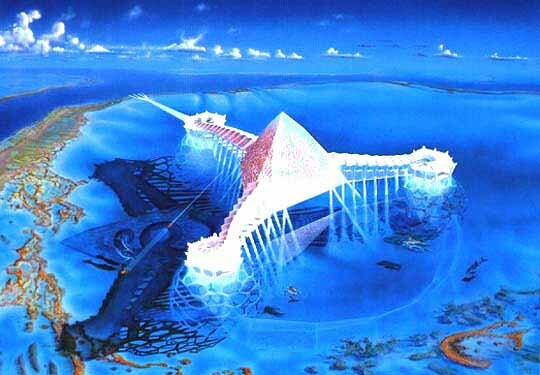 Followers of the purported psychic Edgar Cayce take his prediction that evidence of Atlantis would be found in 1968 or ’69 as referring to the discovery of the Bimini Road. Believers describe the formation as a road, wall, or other structure, though geologists consider it to be of natural origin. Other writers attribute the events to UFOs. This idea was used by Steven Spielberg for his film Close Encounters of the Third Kind, which features the lost Flight 19 as alien abductees. Charles Berlitz, grandson of a distinguished linguist and author of various additional books on anomalous phenomena, has kept in line with this extraordinary explanation, and attributed the losses in the Triangle to anomalous or unexplained forces. 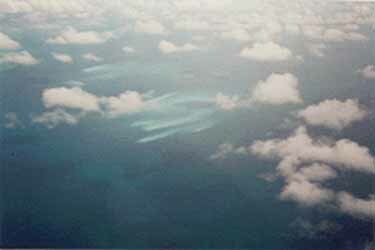 can you send me a video or a trailer about bermuda triangle??? Thanks for the inspiration, your blog looks excellent! I have been having trouble getting motivated working on mine but this definitely pumped me up! Sweet site, I hadn’t noticed sibasishfoundation.wordpress.com before in my searches! It’s rare for me to discover something on the net that’s as entertaining and intriguing as what you’ve got here. Your page is lovely, your graphics are outstanding, and what’s more, you use source that are relevant to what you’re saying. Devil’s Triangle Sibasish Foundation… is a wonderful blog post. I am about to spend more time exploring this topic.